Instant Upskill brings together a unique combinations of web based technologies coupled with our many years of experience in the training industry actually delivering training. 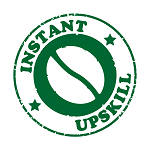 Instant Upskill has helped many organisations and businesses to revolutionise the way they educate their staff, clients and suppliers. When it comes to learning, we understand the way everyone learns is different, by using the Instant Upskill dynamic interactive learning system however, training has taken on a whole new lease of life to provide a balanced approach to suit a variety of learners. By including video, images, assignments, and practical work-based tasks, coupled with multiple choice quizzes, self-diagnosis testing for individual sessions and links to other for additional information and research, the results have been extremely positive.